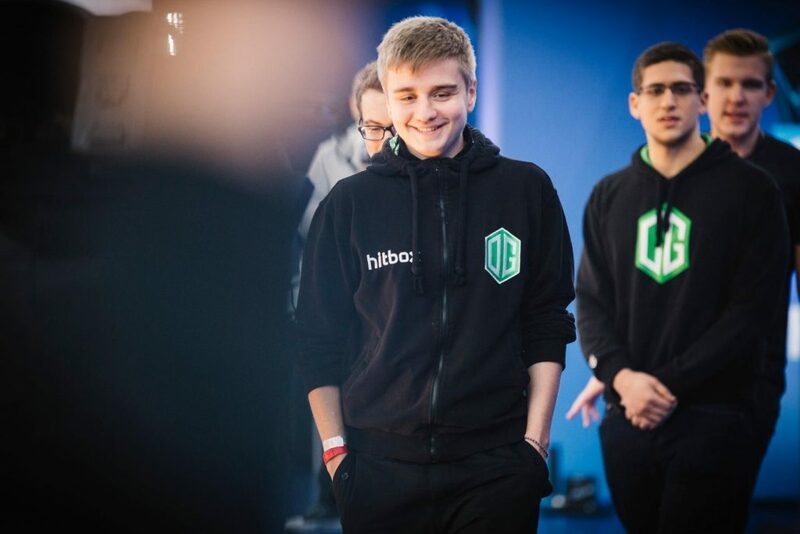 OG is one of the attending teams at The International 2018 led by their charismatic captain, Johan "n0tail" Sundstein who recently switched back to the position 5 role to accommodate new entrants in his team. OG has had a tumultuous year ever since the inaugural DPC season began and were unable to add a single trophy to their name owing to lackluster performances and roster changes -- a feat that doesn't fit quite well with a team that has won back-to-back Majors in the past. EsportsHeaven was fortunate enough to sit down with n0tail for a brief interview and is delighted to share it with the community that is gearing up to watch TI8 which is less than two weeks away. Hey Johan, as promised, I'll keep this interview very brief. Getting straight to the point, how are the preparations going on for TI8? Preparations are going great, we had a small break after the qualifier and we have since returned to the grind! Currently in Vancouver where we'll stay until August 12. How did you come to the conclusion of recruiting Topson in the team? People are of the opinion that his hero pool isn't quite big and might be an issue at TI8. Kindly give your take on this. Topson is a player I have a hard time comparing to others, he has a different view on certain things in the game that I've never heard from anyone before. It has been a joy for me to try and understand and learn how he plays, and as for TI people will have to see if there's more bans than Topson heroes :) OG had a lackluster year in the inaugural DPC season without any trophies as compared to the previous two years. Things are looking up since Seb, Topson and Ana replaced existing players. What are your expectations of the team at TI8? TI8 looks to be the potentially highest level Dota tournament of any season, yet I have another year of experience since the last TI and I feel the hardships of this year will help me, and hopefully help others to play their best and not fall for the infamous TI pressure that leads to under-performing. You switched to support role, one that you were previously acquainted with on Fnatic and Cloud 9. How does this role help you contribute to the team and why did you end up taking the supports mantle? I feel support role has a really big impact on the game right now, and it's the only role I feel you can truly take on all the aspects of being a captain. We had a long and hard season this year, a lot had to do with how our early game transpired and I feel it's up to supports to really help the early flow of the games so I was looking to change that. Tell us in brief the pros and cons of old and new DPC season. I can't really go into the new DPC system as I didn't read up on it, nor do I think it's going to stay without any changes. This years definitely had a lot of flaws which is to be expected being the first DPC season. From DPC tournaments being canceled without replacement to way too many and tightly packed tournaments I'd say that it wasn't a nice system for pro players, at least for me. A lot of good came out of it, many successfully run tournaments and incredible showings of Dota but I think there's room for improvement. Anything you'd like to say before we wrap up this quick interview? Thank you everyone who has been supporting OG during our tough times as well as good times. It's great to have such an amazing fan-base as our support system and this is what motivates us to keep going. Lastly, thank you to our sponsors for having faith in us. If you like my work, follow me on Twitter -- KarY.